Pekka is a Consultant at Spinverse with a focus on coordination of multi-party innovation projects and ecosystems especially in the field of ICT. At Spinverse, Pekka is involved in preparing, managing, and coordinating innovation projects together with large companies and SMEs. He is also an experienced in securing innovation funding from EU and Business Finland to support companies’ growth strategies. In addition to his daily tasks in innovation project preparation and coordination with customers, he is currently managing two large ecosystem projects. smart-MEMPHIS – an EU-wide project in the field of microelectronics, and LuxTurrim5G – a consortium project enabling new solutions for Digital Smart Cities through fast 5G networks. 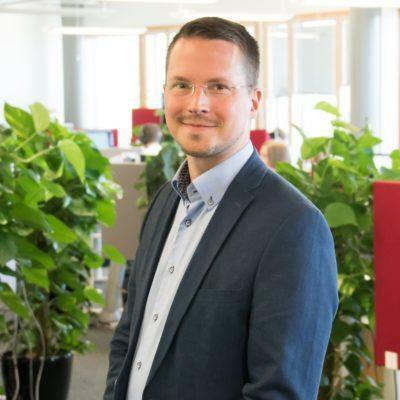 Pekka has also been part of building an ecosystem project for the Digital Fiber Initiative, an ecosystem aiming to boost the renewal and growth of the forest industry with the help of digitalization. Pekka holds D.Sc. (Tech.) degree in Industrial Engineering and Management from Lappeenranta University of Technology. Before joining Spinverse, Pekka has worked as a Researcher at Lappeenranta University of Technology where his research focused on studying Open Innovation, and technology management strategies in manufacturing industry with special emphasis on firm competitiveness in emerging markets. At the university, Pekka was also involved in coordination of a large international research project on multinational enterprises’ impact on socioeconomic and global development challenges in developing markets. In his free time, he likes swimming, hiking, and spending time in nature. He enjoys also traveling and getting to know new surroundings and cultures.